Our hotel is the gateway to the Strip. 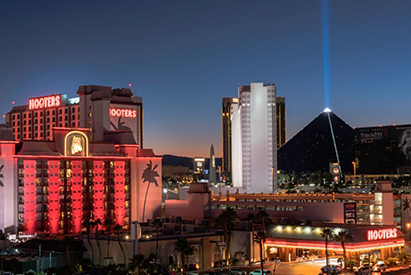 Hooters Casino Hotel is located at the south end of the Strip, on the Strip. Everything is within walking distance from our front doors. Go ahead, explore. You will not need a taxi – just a comfy pair of shoes and a curiosity about the most entertaining street on the planet. If you do choose to explore outside the south end of the Strip, the Las Vegas Monorail is just steps from our front door.